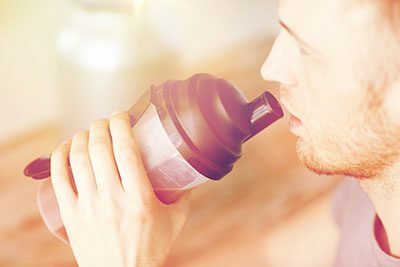 Massive Muscle Fuel is one of Australia’s leading Testosterone Boosting products, so we took a closer look to find out why. 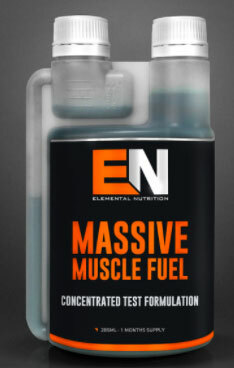 Elemental Nutrition, the company that manufactures Massive Muscle Fuel sell the product exclusively through Mr. Supplement – “Australia’s Supplement Superstore”. 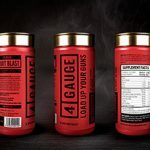 Massive Muscle Fuel itself has been through a few different versions of its formula and Elemental Nutrition claims it is “often referred to as the strongest legal alternative to anabolic steroids available”. Such a claim is easy to make, and hard to back-up so of course we are interested in doing our part to that end. …but are they of any use to the man who wants a kick up the testosterone? 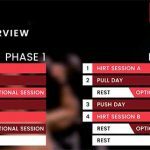 What Is Massive Muscle Fuel? It’s a liquid, which is unusual for a muscle supplement, especially a testosterone booster. It looks pretty wicked though – like a jug of engine oil or something. The dose of 10ml can be added to a shaker cup along with protein or just the drink of your choice. 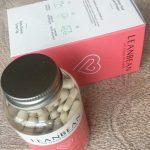 It contains a blend of ingredients, some of which are fairly common among similar supplements and some which may be new – or at least they might sound new – to you. And that’s what it comes down to, ultimately, the ingredients. If they really are capable of being the most powerful legal alternative to steroids, then sign us the hell up! Each 10 ml serving of Massive Muscle Fuel liquid provides the ingredients and dosages below. There are 28 servings in a container. The ingredient that stands out there is definitely Tribulus Terrestris, but only because of the huge quantity they have put in the formula. Without a doubt Tribulus takes up the majority of the blend. 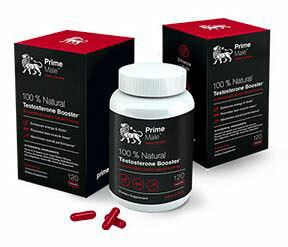 Despite this ingredient appearing in many many testosterone boosters, there is no scientific studies which really support its ability to, well, boost testosterone. This is the main bioactive in Tribulus Terrestris, and can make up nearly half of any dry extract of Tribulus Terrestris. 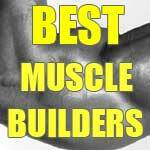 An odd inclusion considering the majority of the Massive Muscle matrix is Tribulus already! And it’s already been established that it doesn’t really do anything for Testosterone levels. It’s spelled Diadzein on the Massive Muscle Fuel label, but it should be Daidzein. This is a soy isoflavone which can have anti-estrogenic effects, IF there is an abundance of estrogen. In the absence of estrogen, isoflavones can actually have estrogenic effects, albeit less profound than estrogen itself. The reason for this conflict is that Daidzein competes for the same receptor. So without much estrogen, it will provide a weaker estrogen effect, but with too much estrogen it might have an inhibitory effect. These have non-estrogenic bone strengthening effects. That is to say it is neither estrogenic nor anti-estrogenic. This ‘steroid like’ herb has increased testosterone in rats so far, but it is wickedly dose dependent, and we just don’t know the right dose for humans. To throw additional confusion at it, it doesn’t just not work at certain doses, but at higher doses it might actually decrease testosterone. Which dose does it do that at? Who knows!! It’s a fatty acid that can prevent some testosterone from being converted to DHT, which is a more androgenic steroidal compound, and the one that makes men go bald. The problem is that there has been no reliable evidence to suggest it increases free testosterone levels. Don’t let pregnant / breastfeeding women or kids get anywhere near this stuff. As for the rest of you – there’s too many unknowns in this juice to know where to begin. Sure, it’s got about 9 grams of tribulus in it, but what does that do in the long run? – We don’t know. We know one thing: it ain’t boosting testosterone. Also, Bulbine – there’s a chance you can get steroid-like side effects from this (the negative ones) and that’s a bit sucky considering it might actually fail to do anything for your T levels, and might even reduce them. And, you have to cycle this product because of the bulbine. Perhaps guys who get the side effects think that means it is like a steroid, but in truth it might have the opposite effect on muscle and general health. 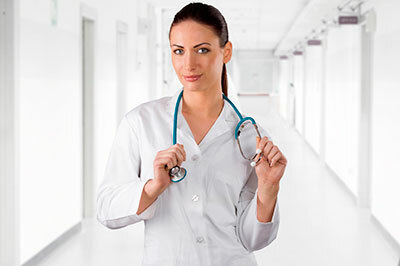 Some stuff’s estrogenic, but might be less estrogenic than estrogen and so compete with the hormone…and by the way, do you even know if you have high or low estrogen? Massive Muscle Fuel is not for us, let’s put it that way. We have tried countless products and reviewed them with as much of an objective standpoint as is possible. The products we recommend are genuinely the best we have found, and they can usually be shipped worldwide so there’s no need to worry about accessibility or legal stuff. 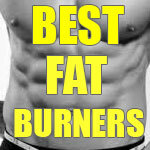 Want something that works and gets great reviews all the time…?